Domestic & commercial window cleaners in Portsmouth, Southsea, Waterlooville, Horndean, Drayton, Bedhampton, Widley, Purbrook, Cowplain & Denmead. Hi Tech Cleaning Services are recognised as one of the best family run, window cleaning companies in Portsmouth. If you are looking for hassle free solutions for your cleaning requirements, complete peace of mind, and value for money, then we are the cleaning company for you. We provide domestic and commercial window cleaning services for all types of homes, companies, schools and offices that are looking for reliable window cleaners. Throughout Hampshire we provide a window cleaning service to the following areas: Portsmouth, Southsea, Waterlooville, Horndean, Widley, Purbrook, Cosham, Drayton, Bedhampton, Cowplain and Denmead. We take pride in our profession, offering a high quality service, using the latest in cleaning technology (such as our water fed pole system). 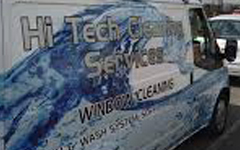 Hi Tech Cleaning Services, have been your go-to window cleaning service team for over 10 years. 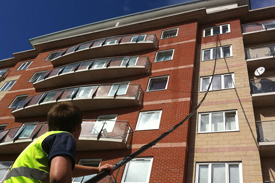 Based in Portsmouth, we clean windows for large and small properties. Over the past decade, the team have developed into a highly respectable professional window cleaning company. 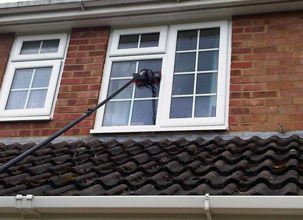 Besides window cleaning, we also provide other cleaning services, such as gutter cleaning and conservatory cleaning, to our valued customers in Portsmouth, Southsea, Waterlooville, Horndean, Widley, Purbrook, Cosham, Drayton, Bedhampton, Cowplain and Denmead. Our mission is to take great pride in providing the highest level of window cleaning, combined with reliability and safety by our professionally trained and uniformed staff that pay attention to detail on every task. It has always been, and will always be, about safety & quality. 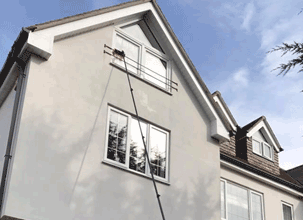 Window cleaning is just one of many services that we provide. We offer a professional cleaning service that includes: Domestic Window Cleaning , Driveway & Patio Cleaning , Soffit & Fascia Restoration , Gutter Cleaning , Conservatory Roof Cleaning , Solar Panel Cleaning , Commercial Window Cleaning , Industrial Cladding Cleaning , Apartment and High Rise Cleaning , Contract Cleaning , Public House and Club Cleaning , School Cleaning , Restaurant & Cafe Cleaning , Office Cleaning , End of Tenancy Cleaning plus Communal Staircase Cleaning. A more detailed description of our services can be seen by selecting one of the pictures below. Hi Tech Cleaning Services have provided professional, reliable, cost effective and safe window cleaning services to homes in Portsmouth and the surrounding areas, for over 10 years. Our team of expert window cleaners operate throughout the year using a wide range of cleaning techniques and specialist equipment including 100% pure water cleaning as well as a more traditional approach. We offer a service that covers all of the Portsmouth area, including local towns and cities. Hi Tech Cleaning Services provide a professional soffit and cleaning service to all domestic property's. We have many years experience of carefully cleaning and restoring these difficult to reach areas of your home. 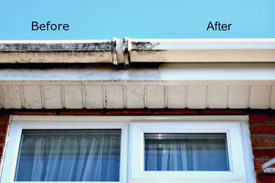 Fascia and soffit cleaning really helps to improve the look of your UPVC fascia and soffits. Regular cleaning reduces the build up of dirt and eliminates the risk of permanent staining. We make every effort to ensure when we leave, your home looks at it’s absolute best. 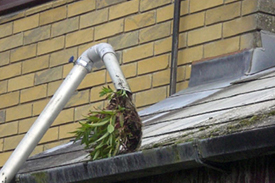 Hi Tech Cleaning Services realise the important role your gutters provide for your home. Gutters are designed to funnel rain water from the roof of your property to a single point on the ground. After time, your gutters can become blocked, causing drips and potential long-term damage. 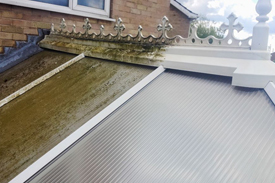 At Hi Tech Cleaning Services, we guarantee to clean your gutters in a safe and cost effective manner, restoring them to their full working order again. Our external conservatory roof cleaning service offers you a premium conservatory cleaning service delivered by our expert technicians. For our conservatory teams, every detail counts. Their dedicated approach will ensure your conservatory is meticulously cleaned and protected for the year ahead. At Hi Tech Cleaning Services, we guarantee to clean your conservatory roof in a safe and cost effective manner, restoring it back to it's very best. 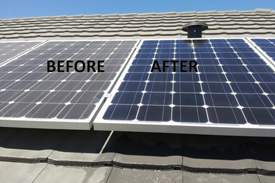 Hi Tech Cleaning Services can provide a professional domestic solar panel cleaning service. We have the health and safety knowledge and training that is required to carry out solar panel cleaning and are fully insured. Not having solar panels cleaned can quickly lead to inefficient energy generation. Having your solar panels cleaned on a regular basis will keep your solar panels working at optimum levels of efficiency and will help save you money. 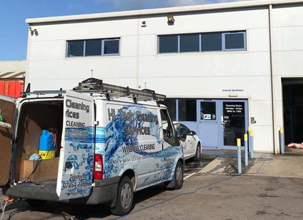 Hi Tech Cleaning Services provide commercial window cleaning in Portsmouth, and are easily available thanks to our team of professional window cleaners. Covering areas in and around the city, our window cleaners in Portsmouth are able to provide a range of services suited to your individual business needs. Regular window cleaning will maintain your premises and keep your property looking clean and presentable, projecting a good image to customers and clients. Our window cleaning teams cover all of Portsmouth and the nearby towns and cities. We are a professional dedicated commercial window cleaning enterprise, who work incredibly hard to provide a safe, high quality window cleaning service that is competitively-priced to all our customers. Offering a regular and reliable service no matter what weather conditions mother nature challenges us with. Idustrial cladding cleaning in Portsmouth. Maintaining the appearance of buildings is not just about cleaning windows. Therefore our team of commercial window cleaners in Portsmouth also provide other services such as industrial cladding cleaning which can help enhance the appearance of your building whilst preventing damage through neglect. Prevent leaking and breakages to your gutter with our specialised gutter cleaning services and preserve steel and aluminium cladding with regular cladding cleaning. 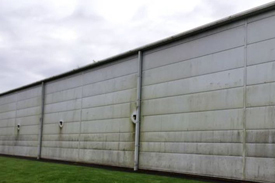 Hi Tech Cleaning Services provide an excellent industrial cladding cleaning service in Portsmouth. Operating the necessary equipment for many of our existing customers in Portsmouth to clean cladding, guttering, canopies and signage. Work can be carried out using water-fed poles, the gutter vacuum system or using traditional methods of washing from a mobile platform. Our team of professional cladding cleaning experts operate throughout the year, working on both commercial and domestic properties. Hi Tech Cleaning Services, can facilitate a window cleaning service for hi-rise apartments and flats. Our flexible water fed poles are able to reach and clean windows at difficult high level locations. 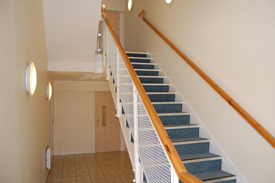 We take into account all safety measures for the public whilst working on high rise apartments. Our team of experts complete a full safety service before work begins and mark a safety zone around the area, where work is taking place. 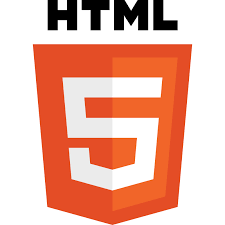 Hi Tech Cleaning Services provide a professional cleaning service to schools in Portsmouth and the surrounding areas. 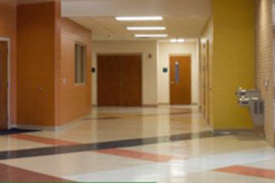 Our school cleaning services was recently mentioned at: edublogs. Hi Tech Cleaning Services provide, office cleaning services throughout Portsmouth and surrounding areas. Delivering excellence in office cleaning services can be largely attributed to three key factors: people, training and flexibility. We’re sure that our focus on employing the most dedicated and efficient people, providing top quality training in all areas of cleaning and hygiene and offering our clients a flexible, bespoke service have all contributed to our success. Operating in the office cleaning uk services sector for many years, we’ve built up a wealth of experience, scores of glowing testimonials, and an impressive customer retention rate. We invest in the training of our office cleaners and have an end to end monitoring system to ensure our office cleaning standards are being delivered to every client we service. We believe our standard of office cleaning and customer service is more than enough to ensure a long lasting relationship. At Hi Tech Cleaning Services our staff are well trained to perform end of tenancy cleaning services for homes, flats and any residential and commercial properties in Portsmouth, and the surrounding areas. 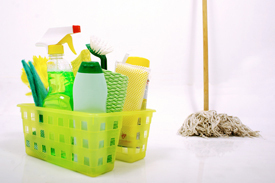 End of tenancy cleaning is required when you move out of your rented property. Property owners and estate agencies appreciate you leaving their properties well cleaned and arranged as it was rented to you. Hi Tech Cleaning Services are experts in cleaning communal areas across Portsmouth and surrounding areas using specialist cleaning techniques, equipment and training. By utilising a range of the latest communal cleaning techniques, bespoke training and professional equipment, our team of cleaning experts can provide a reliable, cost effective and high quality service all year round.